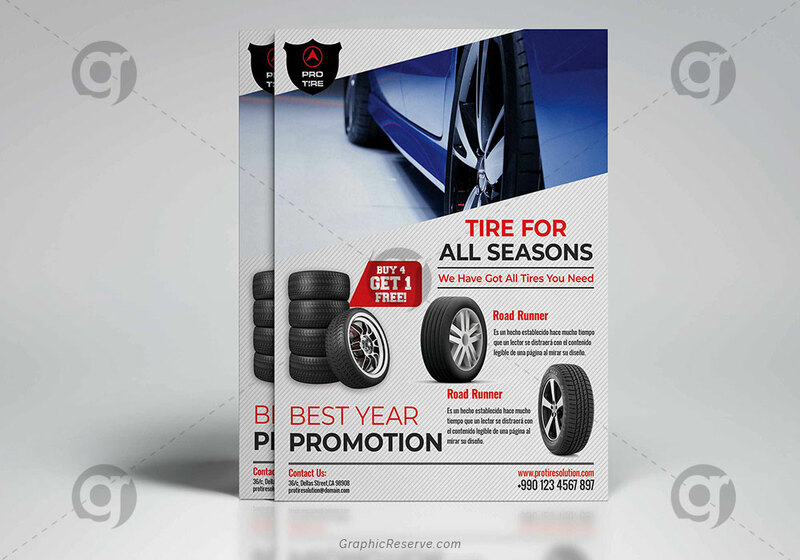 A clear and professionally modern flyer design to boost your sales and attract new customers! 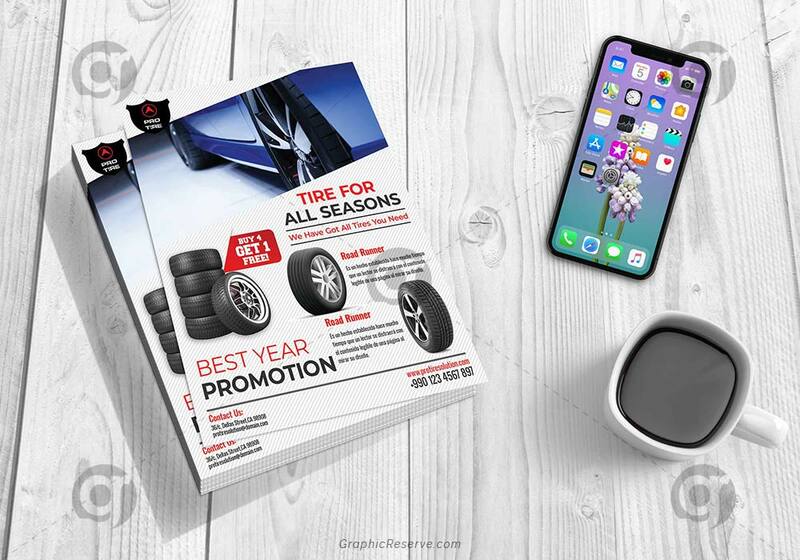 This Tire Shop Promotional Flyer Template has been developed to boost your Ultimate Marketing Opportunity and product awareness for large and small businesses. Just copy & paste your text and replace your own images! Several color variations are possible, the design works with nearly every color. To edit this template you need to know the basic knowledge of Adobe Photoshop. If you want you can contact with me for the modification. ** All image are for preview purposes only and is not Included. ** Fonts are FREE to download and link is given in the Help file. ** If you need any help with color customizing or text updating please contact through my profile page. Please register or sign in first to contact Graphique Ninja.